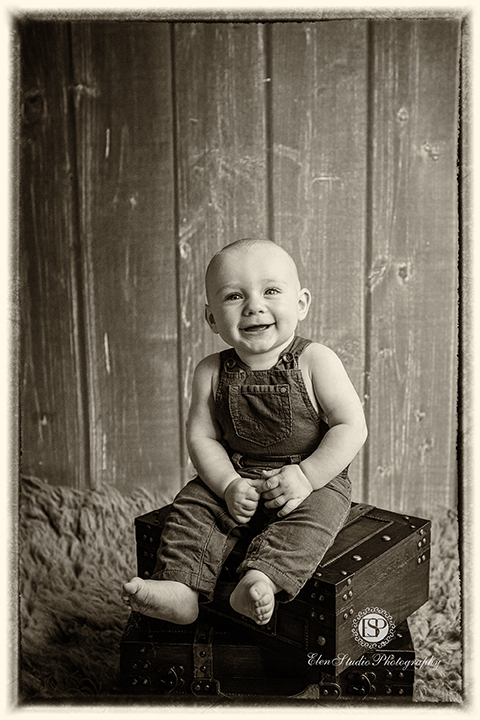 Following his newborn photo session few months ago, Mr B has grown a little bit. Now he is just a bit older than 6 months, he can sit and crawl, and the world has become even more interesting. 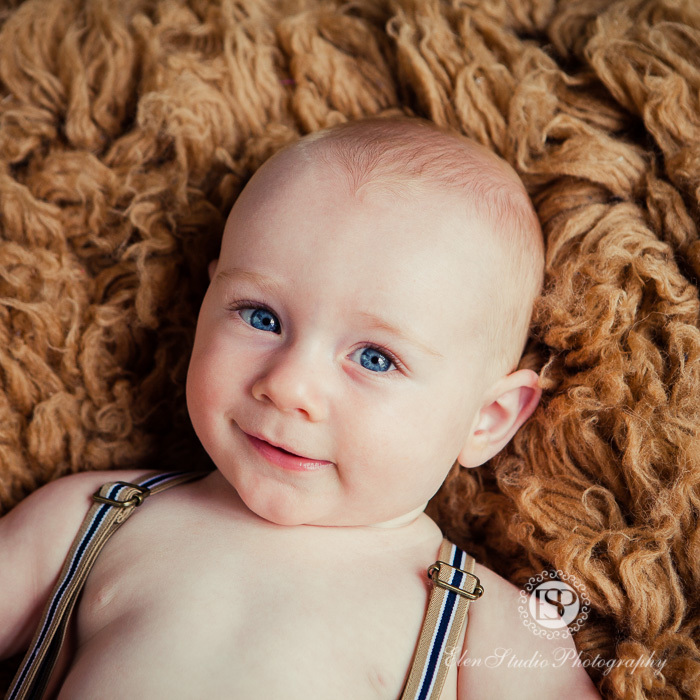 I would like to share with you new baby boy photographs Derby from a six plus photo session of Mr B. Now, when he has learnt to sit-up by himself he has much more to see! This curious look and enjoyment of some independence is exactly what we want to photograph at our six plus photo sessions! 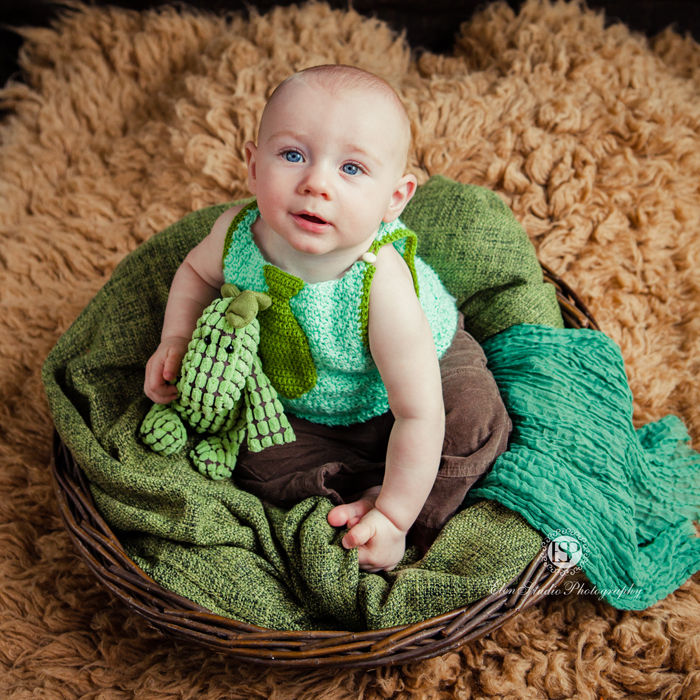 I have plenty of props in my studio for my baby photo shoots. 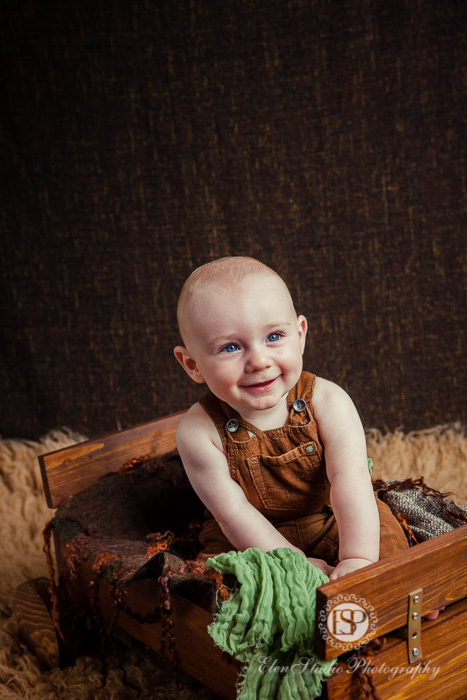 The wooden suitcases are probably the top toy for the six months babies as they can open them, close them, sit on them etc – here is one of such pictures with happy Mr B sitting on the top of the pile of vintage suitcases. The next image Mr B’s parents ordered as a frame to put on the wall. They said it looks like a selfie, and called it “My first selfie”. 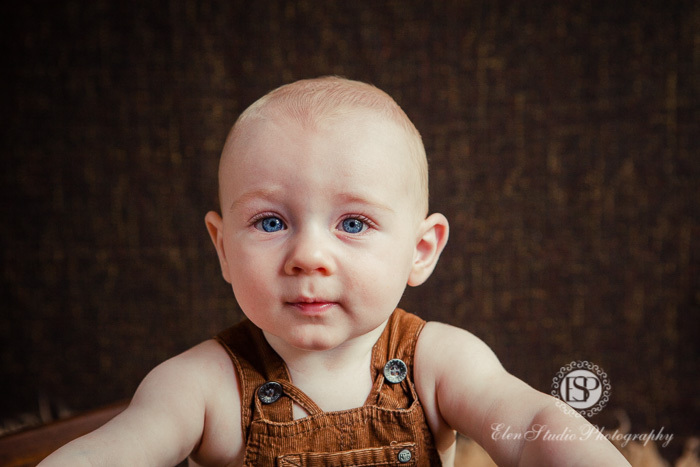 It was great to see little Mr B at his 6 months age – see you at your cake smash photo shoot when you will be one year old!